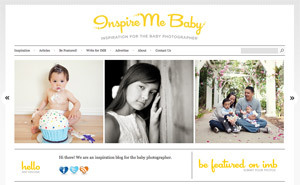 Welcome Inspire Me Baby Readers! I just wanted to extend a warm welcome to the readers visiting from Inspire Me Baby where I guest blogged about my photobooth setup. My name is Jamie, and I’m a Madison, WI wedding photographer who loves to share what I know to help you grow your business. Spend some time poking around the site to find all the goodies – trust me, it’s worth it. If you’re interested, you can get to know me a little bit here. If you’re really observant, you can also find me juggling somewhere on this site as well. Yes, I juggle. Kind of. It’s amusing. Free Photographer’s Pricing Guide Series – This pricing guide is different from any other I’ve seen because it allows you to determine your prices for businesses that offer several different types of shoots and services. For example, if you shoot both weddings and portraits and do a bit of graphic design on the side, it will tell you how to take all of that into account when setting your prices. It’s pretty spiffy if I do say so myself, and it makes that math degree I worked so hard for worth it. P.S. If you want bonus points, leave a comment below introducing yourself and sharing your hidden super-hero talent. We’ve all got at least one – so spill it. Super-duper “you’re awesome forever” points to the people who create their own juggling video (or attempt at juggling) and post a link to it below. I’ll even send you a free copy of the pricing guide workbook if you post your juggling video before midnight EST on Wednesday May 18th.